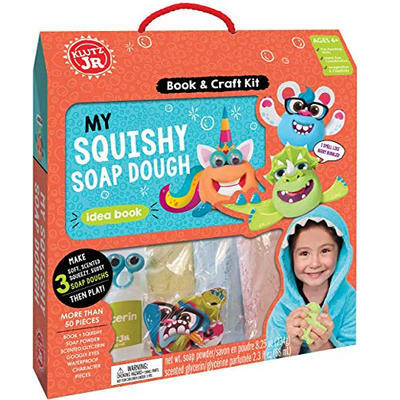 Sudsing up in the tub becomes a creative, pretend-play adventure! Following the illustrated instructions, kids simply mix the glycerin with the soap-powder - (don't worry, it's not explosive like nitro-glycerin) - then, kids can mold and shape the soap dough just like clay. Create fun sculptures. Make unique shapes. 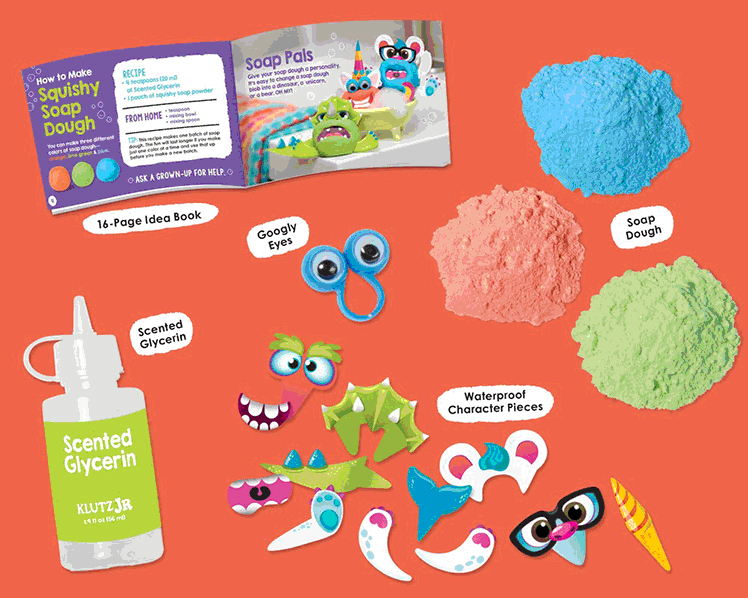 Grab the water-safe plastic body parts and googly eyes to build goofy creatures and characters. There's no end to the creative excitement!